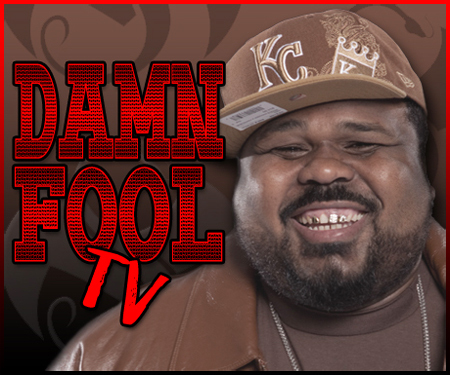 Big Scoob took another break from recording his upcoming release, Damn Fool, to give his fans episode 4 of Damn Fool TV. Due to the technical difficulties that occured during episode 3, this was the first opportunity for Big Scoob and Makzilla to show off their new format. 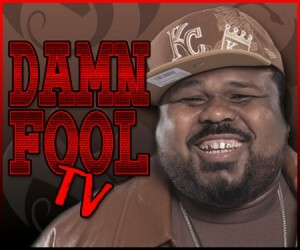 The fan favorite of the additions to Damn Fool TV is Makzilla’s new segment, “A Moment In Youtube”. Makzilla played two hilarious videos that he and Scoob had seen over the past week. The first clip was of a classroom knockout. One of the students was messing with the kid next to him, slapping him on the head in a way that led him to believe that it was the kid directly behind him. When he decided he had enough, the student getting slapped in the head jumped out of his seat, ripped his shirt off, and WHAP! punched the innocent by-stander in the face, knocking him clear out of his desk chair! Leaving Makzilla and Scoob wondering, “Why in the hell did dude have to rip his shirt off to hit the guy?” This Youtube clip was followed by another one that was almost too hilarious to put into words. It appears to be a pilot for a new “Flavor of Love” type of show, where “King James” is trying to find a mate by taking a group of normal normal women and whipping them into shape, figuratively and literally, making them “fit for a king.” After the clip was over Mak gave a shout out to King James pleading his case for why he would be the perfect judge for the show. Scoob interjected, “And that’s what happens when a pimp gets ahold of a good camera.” Too funny! Other highlights from this episode include Scoob answering some of your questions from the forum at DamnFoolTv.com, interviews with Brother Al and Txx Will, and video footage of the 2 Fat Fucks going to 24 Hour Fitness with their friends Skinny and Boney. Catch the episode here or watch below. We stuck around after the airing of Damn Fool TV and caught some must-see footage. Krizz Kaliko and Tech N9ne were supposed to make appearances on episode IV. However, Tech was doing a phone interview that ran long and Kali got caught up at home. After Damn Fool TV shut it down for the week, Tech finished with his interview at about the same time Kali arrived. Luckily we kept the cameras rolling as hilarity ensued. Click here to see the footage or watch below.